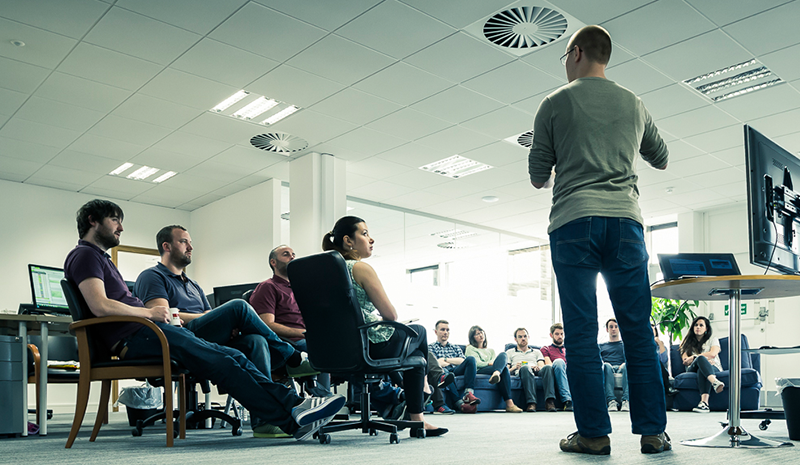 Objective: Increase online bookings from Google AdWords without increasing the budget. Insights: According to a NIelsen study, consumers place a very high degree of trust in consumer opinions posted online. Our Approach: In order to increase bookings without increasing adspend we knew we had to increase the conversion rate of our AdWords campaign. AdWords had just launched seller ratings ad extensions, which allowed advertisers to show reviews from third party websites in their AdWords ad. 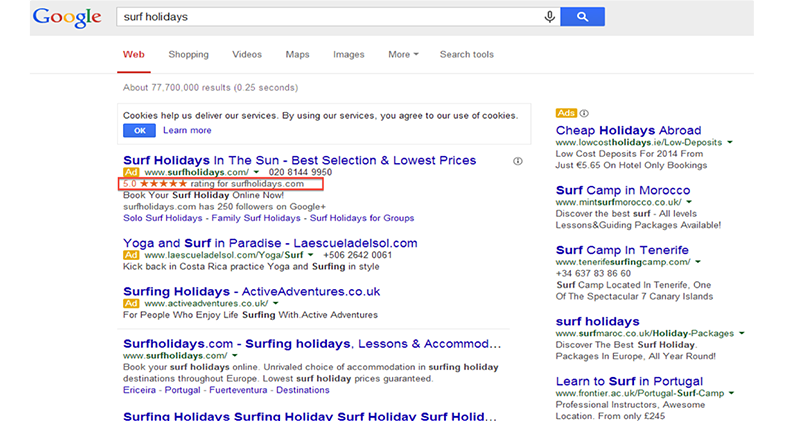 We implemented AdWords seller rating extensions which pulled in surf holidays' Feefo reviews into the Google search resuts. Results: Click Through Rate on the seller rating campaings improved by 17% and the all important Conversion Rate improved by a monumental 23%. Iteration: Based on the success of this campaign we encouraged surf holidays to proactively pursue reviews from happy customers. This activity was to have benefits beyond paid search as while we were executing this campaign Google announced that online reviews were to become an imporant ranking factor for the organic results going forward.